So my Wisdom Panel came back. Bear's dad is Australian Shepherd and American Mini Shepherd. 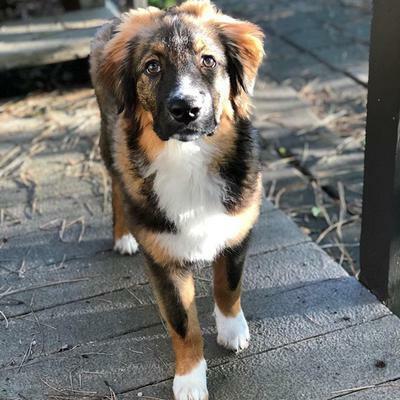 His mom is Australian Shepherd and Dutch Shepherd? I know Aussies are man-made breed, does this mean he is a mixed breed or 100 percent Aussie? Dutch Shepherd is a pure breed, in fact one of the oldest. and on the panel on his maternal side, Dutch Shepherd is the Mothers Mother AND the Grandma's mother. Hope that makes sense. Yes, I agree, he is a mixed breed for sure.